Service providers are relying on Wi-Fi more than ever to provide high-performance, low cost wireless access to their subscribers. For mobile operators in particular, the opportunity to turn Wi-Fi into a seamless extension of the licensed Radio Access Network (RAN) can increase network capacity, lower costs, and create a positive user experience. 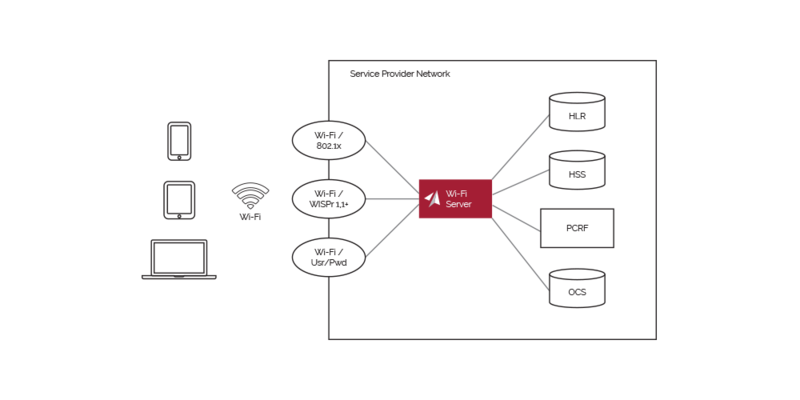 The Accuris Wi-Fi Server is a secure, flexible, policy-based access and authentication platform designed to interconnect Wi-Fi into the service provider core. The Wi-Fi Server delivers SIM-based authentication for mobile network operators leveraging Wi-Fi for domestic offload as well as international roaming services.